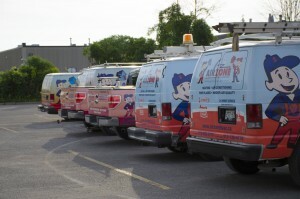 In 2005, Brent Lewis started B. Lewis HVAC Incorporated. Brent’s commitment to service and workmanship quickly established B. Lewis HVAC as the HVAC contractor within the commercial community. With this success, Brent expanded his company in 2006 to include a residential division. This new division grew quickly. Steve Teskey (2003) owned and operated Home Comfort Innovations, a Residential furnace and air conditioning installation company in Ottawa. Based on the principles of service, reliability and workmanship, Steve swiftly built an extensive residential customer base. Recognizing the qualities and talents in each other, in 2007, Steve and Brent combined forces and AirZone HVAC Services was established, a company built on service, workmanship and backed by a guarantee unprecedented in the industry. With a clear vision and mission, Brent and Steve started a company that would be built on solid values, customer service, and a strong reputation. To this day, AirZone HVAC Services is committed to providing total indoor air comfort. We are dedicated to nurturing long-term relationships with clients, employees and the community at large. Airzone HVAC provides quality service, repair/replacement for your heating, air conditioning, and indoor air comfort requirements; a company with high professional standards committed to nurturing long-term relationships with clients, employees and the community at large. Airzone HVAC vision is to be recognized as a company whose success is built upon quality service and continuous improvement. Our objective is to become the standard of excellence when it comes to providing total indoor air comfort. 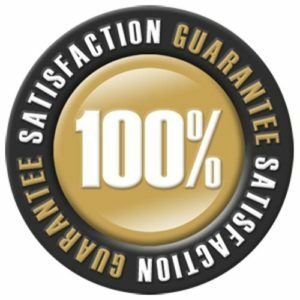 At AirZone, we backup our promise for a quality installation with our 100% satisfaction guarantee!